IBIT Solutions are a complete IT and network solutions company, we offer a full network support and installation service for businesses of all sizes. Want to drive change but find that your hands are tied? Migrating to Cloud can unlock new capabilities and cost savings for your organisation. Ensuring that your business is secure and protected against network breaches can be challenging, we have the expertise to keep your business safe. 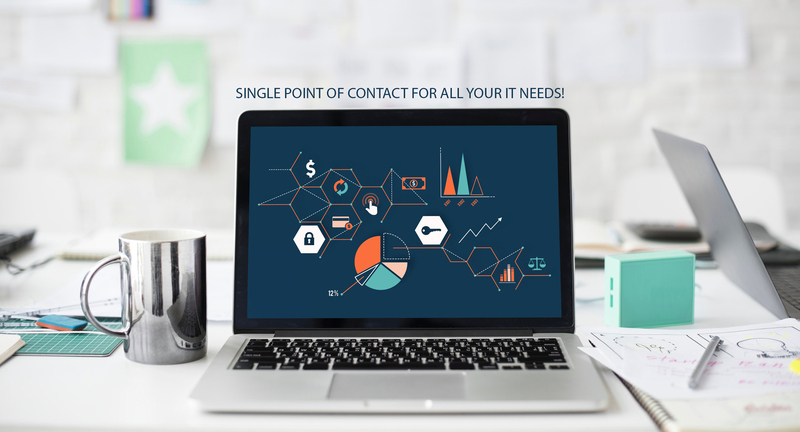 Want a single point of contact IT solution and support provider - No problem! A regional, well known UK charity approached IBIT complaining of an unreliable, unmanaged IT infrastructure which was causing disruption to business and ever increasing maintenance costs. The CEO stated that he couldn’t remember a week without some sort of IT outage or unexpected support cost. The requirement was to move away from a ‘Break – Fix’ environment, to a controlled and stable architecture within a budgeted support cost. IBIT were tasked to provide a solution. After replacing the charity’s five physical and aging servers with a single piece of hardware hosting four virtual server, down time was no longer an issue. Costs were minimised using IBIT contacts and partner programs for the charity sector, greatly reducing software, licensing and hardware costs. Following the implementation of the fixed cost AMC support contract with IBIT, the charity have enjoyed 100% uptime for the last four years. The CEO describes IBITs support as professional, proactive and cost effective. One of IBIT’s customers in the Potteries is a mid-size housing association with fifty employees at head office supporting 21 care homes in the surrounding Staffordshire area. When they approached IBIT, management described themselves as a dysfunctional organisation with an aging, inadequate IT infrastructure. The management team explained that the organisation wasted so much time, money and resources collecting and collating business data. Unnecessary visits between offices and homes, inadequate methods of transferring and collating data, none uniform/multiple version documentation and process, were stopping the organisation from performing efficiently. IBIT looked at the data strategies and processes across the whole organisation. A centralised virtual server solution was implemented at head office with UTM (Unified Threat Management) security appliances located at each home so connecting the whole organisation over a secure wide area network. Our Systems experts then collated the organisations data in a secure, structured and uniformed manner within a SharePoint Intranet. Policy’s, Procedures, timesheets, analytical data, operational data was all migrated from a network share environment just for Head Office, to the new SharePoint Intranet and push out across the whole organisation by group policy. Following this investment management concluded that the monetary savings and efficiency of the organisation had improved by 70% and had paid for itself in the first financial quarter. A nursery had outgrown their BT feature-line but were concerned about the costs of moving to a PBX system, especially as they were unable to anticipate how much “growing room” they’d need to factor in. As IBIT were already familiar with how their business operated we were asked if there was another way of doing it. A cloud based VOIP system was deployed which gave them features that had been previously beyond their reach such as voice menus, hot desking, date and time based routing as well as giving admin staff the ability to work from home yet stay connected to the office. A manufacturing business based in Derbyshire were concerned their server replacement was going to be a costly exercise without the addition of any new functionality. The project was managed by IBIT from start to finish which including the initial setup, training and data migration. Disruption was kept to a minimum during the migration and staff were able to work productively on the first day everything went live. REQUEST A FREE IT AUDIT TODAY!